Habits form so much within our lives. The things we do on a daily basis, repetitively, over and over again become ingrained in us. When it comes to movement, habits can either make us stronger, more resilient, and efficient. Or, habits can cause us to breakdown, hurt, and need fixing. The habits we practice in terms of movement will ultimately decide which path we travel down. The good thing is, we can change or alter our outcome. This doesn’t always mean we can reverse what has been done for years and not need the surgery our doctor recommended. But, if we change our intent, and modify our habits to those that build us up instead of break us down, we can improve the quality of our movement. What people need to realize is that there is often no quick fix. Most of the problems that cause injury or dysfunctional movement have been plaguing our bodies for years. That means even before we have pain, we often have dysfunction that isn’t yet apparent. This is where I feel many fitness professionals fall short. Before a new client or member begins training with you, it is essential that they complete a movement screen to hopefully uncover problematic “habits” on the front end. Compounding dysfunction with strength training and conditioning can be disastrous. 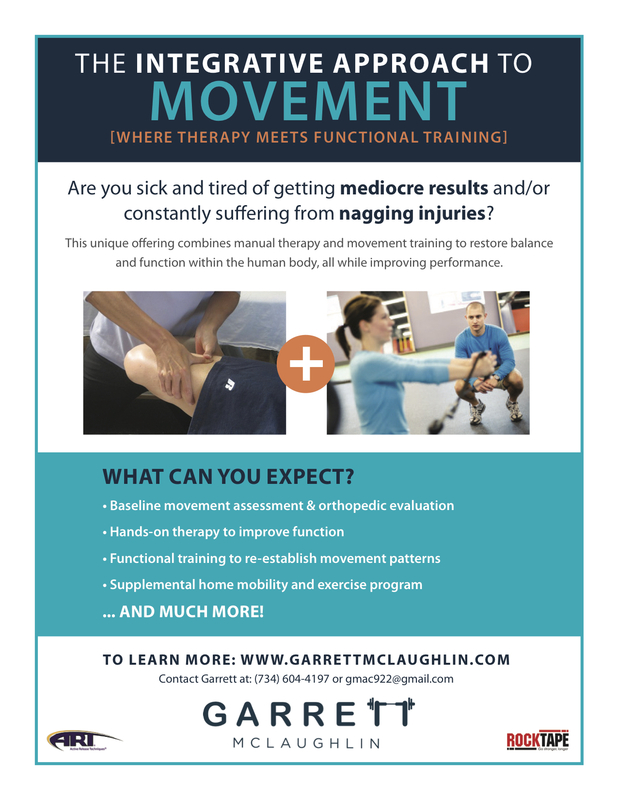 The first step is to seek out a healthcare/fitness professional who is trained in assessing movement. Ask them where you need to focus your attention, and what you need to stop doing in terms of exercise that will make things worse. Before you leave, schedule a follow-up session in 4-6 weeks. The initial assessment is only as good as the intervention and follow-up session to check progress. Next, and the most important part… You need to start doing something about it. Remember, it’s all about habits. On a daily basis you need to practice proper movement. More often than not, this doesn’t mean getting stronger but becoming more efficient. So, don’t be embarrassed to start at bodyweight, foam rolling, and mobility work. Use the assessment to guide your new habits on where you need to focus your attention. And, stay away from things that will continue to exacerbate the problem. If your thoracic spine is immobile, you may want to stay away from overhead exercises and improve mobility in that area first. And on top of that, implement some exercises to be completed every hour while taking a break from your desk. Remember, habits can either build you up or break you down. You chose the path you wish to travel.